Check out the latest Chevrolet models. From routine maintenance to critical repairs, we take the stress out of servicing your vehicle. Need a tire rotation? Are your brakes ready for replacement? How about an oil change and coolant flush? You’ve come to the right place! Our service staff are expertly trained in Chevrolet brand standards and are eager to take on whatever service your vehicle may require. Dominion Chevrolet is known for our commitment to providing outstanding customer service and quality vehicles at an affordable price, but we are also dedicated to giving back to organizations throughout Michigan’s Great Southwest. Our dealership has teamed up with a variety of organizations in the past, including those that support education initiatives, help the less fortunate, pageant contestants and promote little league sports. Our dealership and Lou Dominion is just as passionate about community involvement as we are about our customers’ satisfaction. 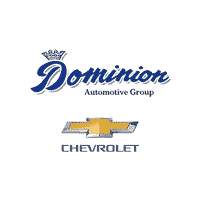 Welcome to Dominion Chevrolet, your Chevy automobile dealer in Southwest Michigan! We offer a huge selection of new and used Chevy cars, trucks, and SUVs to our St. Joseph, MI Chevrolet customers. 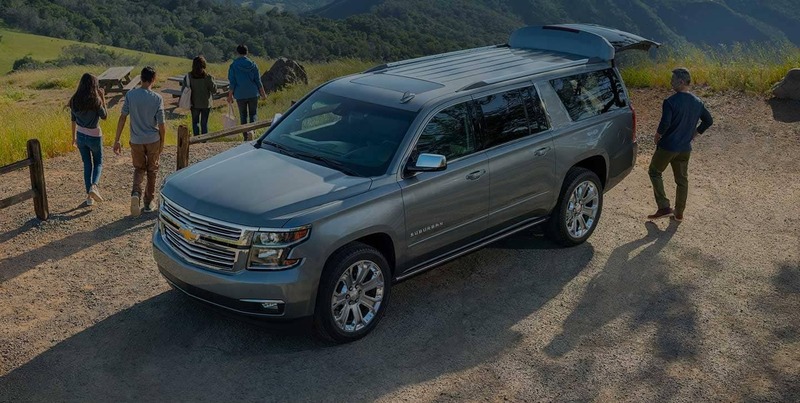 Come see our new line of Chevy vehicles in Bridgman, or view our inventory online. If you find one that you like, request a quick quote or find out about financing options and incentives. St. Joseph, MI Chevrolet shoppers can feel free to contact us or just stop by for a test drive! We proudly extend our services to Michigan City Chevrolet shoppers. Visit us today! Dominion Chevrolet is proud to serve Southwest Michigan customers. We are located in Bridgman, MI. Conveniently located, we are a short drive for our Benton Harbor and St. Joseph, MI Chevrolet drivers. If you are looking for a used vehicle, we invite you to check out our selection of GM-certified pre-owned vehicles. We also have a wide variety of certified used vehicles for our Michigan City Chevrolet shoppers. All vehicles are serviced (with 127 point inspection), A clean CarFax and come with a warranty. We are a one-stop shop for all your automotive needs. We look forward to serving St. Joseph, MI Chevrolet shoppers at our dealership soon! The service department at Dominion Chevrolet, located in Bridgman, MI, is standing by to serve our Southwest Michigan Chevy customers. Bring your vehicle to our professionally trained service technicians. Our service and parts department is dedicated to providing excellent customer service assisting with the parts that you need. St. Joseph, MI Chevrolet shoppers can schedule a service appointment online, order parts, find tires, or buy accessories for their vehicle. Visit our service department at Dominion Chevrolet today! St. Joseph, MI Chevrolet shoppers are invited to check out our service center soon! Dominion Chevrolet is proud to offer new and used car loan assistance to customers in Bridgman. We have been helping our St. Joseph, MI Chevrolet shoppers with auto loan assistance to help them find the lowest interest rate, and that too, with the lowest down payment. All you need to do is fill out our secure financing form and our staff from the finance department will help you with financing your dream vehicle. This will also help you pre-qualify for a new or used vehicle auto loan from Dominion Chevrolet. We look forward to serving St. Joseph, MI Chevrolet shoppers at our dealership soon!